Fresh, fruity and delicious - the new fragrance from Roger & Gallet. 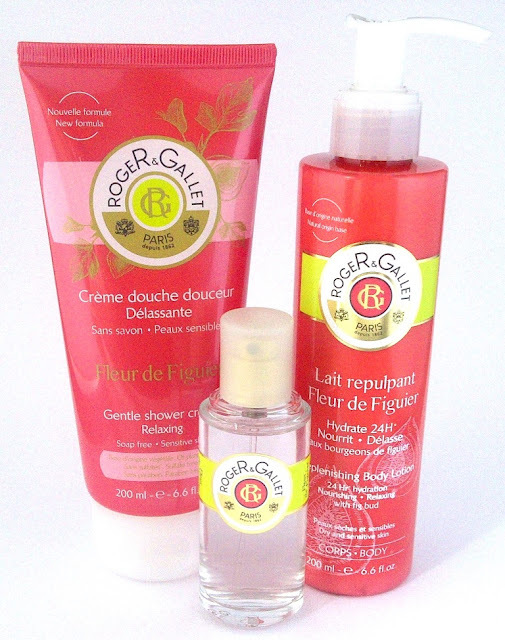 Fleur de Figuier takes you on a voyage to the Mediterranean garden of Esterel. This scent captures a sunny climate in a bottle, transporting you into a holiday spirit. A great mood booster. Composed with Fig Pulp, Mandarin, Grapefruit and Caraway Seeds. Following with Fig Leaves, Fig Milk, Cedar and Musk. Sweet, light and refreshing Fleur de Figuier is ideal for spritzing on the go and the 30 ml bottle is just perfect for popping in your handbag. If you are a fan of layering then take a look at the Shower Cream and Body Lotion. The Shower Cream is as the name suggests, rich and creamy and moisturising. It smells exactly like the Eau Fraiche and benefits from being Sulphate free and paraben free and suitable for sensitive skin. The Body Lotion is light and runny, leaving skin soft with lasting moisturisation, also paraben free.